If you are thinking about leasing a vehicle in Ballwin, leasing a used car is a unique option that a few dealerships do offer. The used vehicles chosen for lease have usually been selected from the dealer’s certified pre-owned program inventory, to ensure a worry-free lease with simple routine maintenance. Currently, the automotive brands that specifically don’t offer used cars for lease include: Ford, Buick, Chevrolet, Cadillac, and GMC. 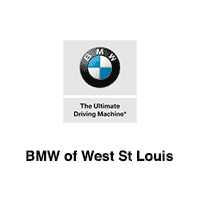 To find out about pre-owned leasing options near Ladue, contact BMW of West St Louis! Which Used Cars Can Be Leased? – Most used cars that dealerships lease are certified pre-owned vehicles. Even if you don’t see a lease price listed on a used vehicle online, be sure to contact your local dealer directly and ask, as used car leases aren’t always advertised. Used vs. New Car Lease – A used car lease will usually cost less than new car monthly lease payments, but offer many of the same benefits. You’ll still need to return the vehicle after the lease term is up, and you’ll still need to meet mileage limits. Can I Buy a Used Car After I Lease? – If you secure a used vehicle lease, you usually have the option to purchase after the lease term ends, and due to the lower price of used vehicles compared to their new counterparts, this purchase will usually cost less. Auto Insurance for a Leased Used Car – Since the cost of insurance is partially influenced by the vehicle’s value, the lower price of a used vehicle might mean that your monthly insurance rate will be lower than if you leased a new car. What are Used Vehicle Maintenance – Although owning a used car usually means higher maintenance costs, leases may include an extended warranty that covers many important components. At BMW of West St Louis you can take advantage of rotating lease deals and incentives for new BMW models, which may influence your decision. Don’t hesitate to contact our Finance Center if you have any questions about certified used cars or leasing, or schedule a test drive in a new or used model near Des Peres!